Building Science Principles Certificate | Building Performance Institute, Inc.
Are you considering a career in green buildings, sustainability or energy efficiency? Do you already work in the residential building trades? Do you conduct home inspections? Do you own a home or are you considering purchasing one? Do you work in a call center or answer phones where you get questions about energy audits and/or efficiency? If you answered "yes" to any of these questions, then basic building science knowledge is critical to your success. What is the Building Science Principles Certificate of Knowledge? Earning the Building Science Principles (BSP) Certificate of Knowledge is your first step into the world of energy efficient home performance. You will learn some of the widely-used industry terminology related to building science. Building science demonstrates how various components of a home interact to affect the home’s overall performance. Understanding the relationships between the building envelope, heating, A/C, insulation, mechanical ventilation, lighting, appliances and other systems of the home will enable you to assist yourself and others. Learn how these systems affect the comfort, health and safety of occupants and durability of the home. Discover why improving the energy efficiency of the home should be the first step toward solar, geothermal, or other renewable energy improvements. The second edition of the BSP guide features an extended renewables section and an entire chapter dedicated to the U.S. DOE Home Energy Score. The guide and the exam are available in English or in Spanish, based on the user's preference. The BSP Certificate of Knowledge can be earned by studying the guide and then challenging the BSP online exam from your computer. The BSP exam is a 100-question multiple choice exam with a passing score of 70%. Once you successfully complete the exam, you can print your personalized BSP certificate from a computer connected to a working printer. Register here to take the 100-question online exam. Training: Hands-on training is not required, although our companion web-based or printed Reference Guide will help you gain the knowledge you need to prepare for the 100-question online exam. Cost: Choose from a digital or print edition of the BSP Reference Guide and take your exam online. Note: Candidates who fail to pass the exam and wish to re-take it must pay the $99 exam fee again. Scheduling: Because the exam is an online knowledge-based exam, it may be taken at any time from a computer connected to the internet. Candidates have one year from the date of BSP exam purchase to complete the exam. A BPI Proctor is not required to be present or record the BSP exam session. Click here if you prefer to take the exam at a BPI Test Center. Who Should Get the Building Science Principles Certificate? If you advise homeowners, but don’t need the hands-on technical skills required of BPI Certified Professionals at this time, the BSP is for you. The knowledge you’ll acquire when earning this certificate will allow you to educate your customers about potential building performance problems, and help you to know when to call in an expert BPI Certified Building Analyst or Envelope Professional to conduct diagnostic testing. If you’re interested in green buildings, sustainable design and energy efficiency and you’re wondering how to apply your interests toward a career, the BSP is for you. Earning the Building Science Principles certificate proves your worth to potential employers and helps prepare you for internships and other work. This certificate demonstrates your knowledge of residential energy efficiency and the importance of house-as-a-system building science. Are you a home inspector who needs to identify potential building performance problems in homes? Are you an appraiser or financial officer who needs to value green features of a home? Perhaps you’re a realtor who wants to be able to find, understand, and market homes with sustainable features. The BSP is for you. Click here to get a sneak peek at the Building Science Principles Reference Guide. Click here to purchase your exam and/or reference guide package. 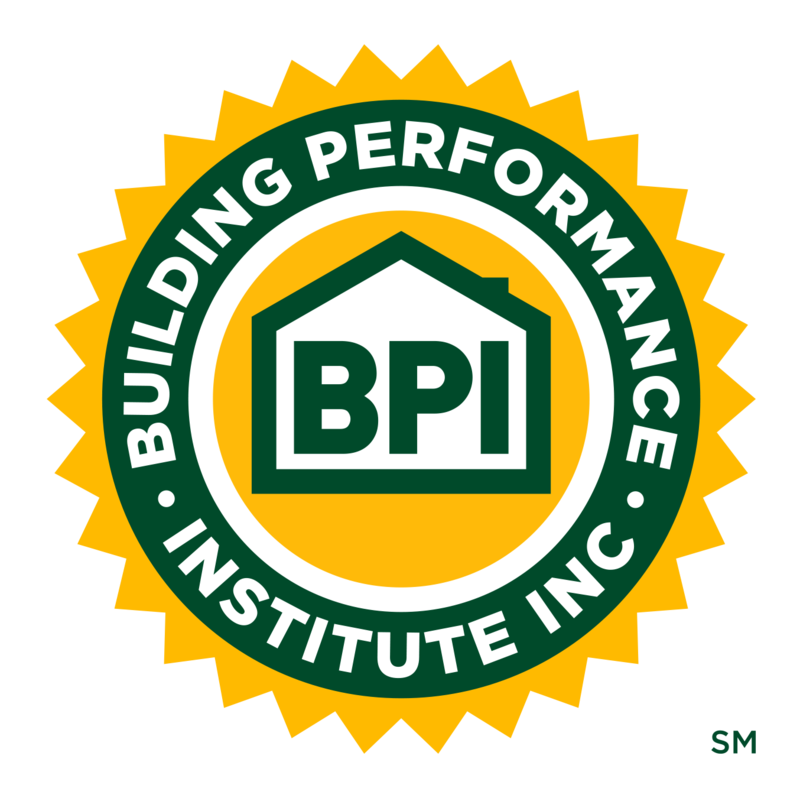 The Building Science Principles certificate is not a BPI Professional Certification. The certificate is your first step into the world of home performance. The knowledge demonstrated by passing this test does not replace the knowledge, skills or abilities of BPI Building Analysts or other Certified Professionals. BPI Certified Professionals pass rigorous written and field practical exams to achieve BPI certification. They earn Continuing Education Units (CEUs) and re-certify every three years to keep up with the latest best practices in building science. Only BPI Certified Professionals may claim to be BPI certified. To learn more about BPI professional certification, check out our available certifications. BPI Certified Professionals can earn six (6) BPI CEU credits by passing the BSP exam and uploading their BSP Certificate of Knowledge through BPI's CEU Account. Not everyone in this industry needs to be an energy auditor, but everyone should have the foundation of knowledge that the Building Science Principles certificate verifies. For students interested in a career in sustainability or green buildings, this certificate is a must have. The BSP is an ideal resource for technical representatives and salespeople in insulation, HVAC, and similar fields. [The BSP Reference Guide] is extremely readable and well-illustrated, a powerful resource for reminding yourself how buildings work and to fill in gaps in your knowledge. The book was very well written. My thoughts are to align ourselves with BPI to train our contractors using the BSP guide. This could develop sales of higher end equipment, tools, and test equipment for us, while raising the bar for installations, resulting in less warranties for our organization to process. The industry wins, contractors win, we win, homeowners win. The [BSP] guide is an excellent place to start learning about the field of home performance.